MARATHON: Organisers of South East Asia's leading destination marathon, Laguna Phuket Marathon, will put Phuket food front and centre at this year's event when the 8,000+ athletes will literally get a taste of Phuket from locally grown fruits that will be available at stations on the half marathon and full marathon courses. The course takes in Phuket’s stunning coastline and the beautiful surrounds of Laguna Phuket. In line with Phuket's recognition by UNESCO as a 'City of Gastronomy', showcasing authentic local foods and supporting the local community is at the heart of the 2018 event where 80% of the runners attend from outside of Phuket. “Laguna Phuket Marathon is very much a destination event. We have runners participating from more than 50 countries and many come with families and friends, and make a vacation around the event. “In addition to the course, which takes in Phuket's stunning coastline and the beautiful surrounds of Laguna Phuket, this year we really wanted to showcase Phuket further and chose to do this through food. Specifically, we will have locally grown fruits available at some of the stations on the run course this year,” said Roman Floesser, General Manager of the event’s organiser, Go Adventure Asia. Also new this year is a Marathon Team Relay category, whereby four people run equal distances in a relay format over the full marathon distance, and improvements have been made to the half and full marathon courses which will make the event even more popular with runners throughout Thailand and from around the world. For the 13th consecutive year, Laguna Phuket Marathon has been certified by AIMS (Association of International Marathons and Distance Races) and is a qualifying event for the world-famous Boston Marathon. This, together with the international-standard which saw Laguna Phuket Marathon win GOLD for “Best Amateur Sports Event of the Year in Thailand” at the 2017 Asia Sports Industry Awards, professional timing by Sportstats Asia and the world-class facilities of Laguna Phuket make Laguna Phuket Marathon one of the leading destination marathons in South East Asia which attracts runners from more than 50 countries this year. 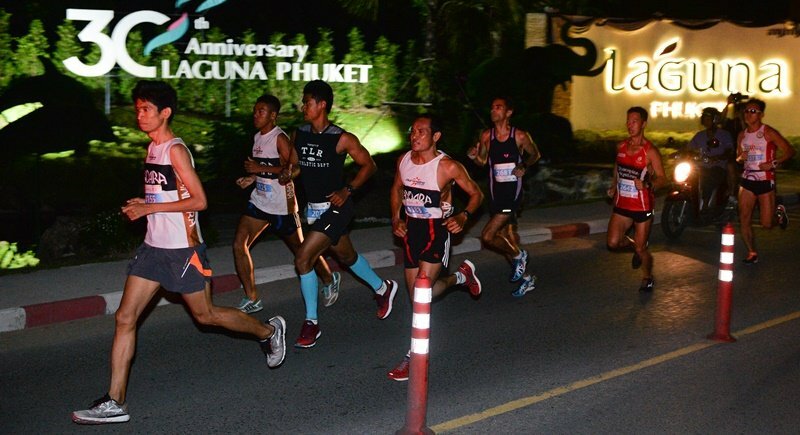 "Laguna Phuket Marathon is in line with our own vision and philosophy – promoting a positive healthy lifestyle, working with the local community and developing long-term sustainable benefits for Phuket as a whole. It helps promote Phuket tourism, attracts quality tourists and showcases the beauty of Phuket's Green Season. And now the event is held over two days it allows more people to come and compete and enjoy Phuket at the same time,” said Anthony Loh, Senior Assistant Vice President of Laguna Phuket. “Like all of our destination events such as the Triathlon and Food & Music Festival, what makes the marathon very special is that Laguna Phuket uses large-scale events like this as a platform to raise awareness and funds for many charitable causes and projects operated by ‘Laguna Phuket Foundation’. Last year, to celebrate Laguna Phuket’s 30th Anniversary, Laguna Phuket Foundation launched ‘Children First Fund’ or ‘CFF’ to support more than 400 orphans in seven orphanages in Phuket. We hope the contribution continues this year at all of Laguna Phuket events including the upcoming Marathon. Held over two days, organisers expect more than 8,000 athletes to take part this year, breaking last years record of 7,000. In the afternoon of 9th June the event will start with the Kids Run (2km) followed by the 5km and 10.5km distances. At sunrise on 10th June the 21.097km (half marathon), 42.195km (marathon) and Marathon Team Relay runners will compete.